In the mood for a little “taste” of Bossa Nova? Well now you can satsify your hunger with good food and better, yet, great music to go along with it! Thanks to the folks at the Birch Street Bistro in Roslindale, Sunday night has become Bossa Nova Night starring vocalist Valdiza Moura, a local favorite who continues to win over both audiences and music critics wherever she goes. She is best known for her ability to convey intense emotion, and yet with a voice that, in the process, still manages to maintain its over-all delicate, lyrical character that her listeners find so aesthetically pleasing. She is backed by a band whose membership represents a wide and varied array of cultures and music genres, many of which influence their over-all sound, adding additonal musical interest to the end product. Moura made a name for herself in her native Brazil early on by placing 2nd in a major music competition at the age of 16. 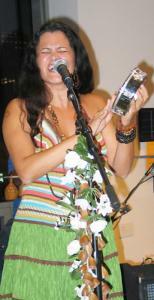 She continued to develop her career there, recording for commercials and political campaign ads, serving as back up to numerous prominent Brazilian musicians, performing and touring, at times as a soloist, with distinguished music ensembles, and appearing as a featured performer at major cultural events throughout Brazil. In 2001 she came to the US, and has been actively performing throughout New England ever since. She has appeared at such notable venues as the Museum of Fine Arts, Harvard University, MIT, Umass Dartmouth, Boston College, and Bunker Hill Community College, taken part in the Rhode Island Latin American Film Festival and the Lowell Folk Festival, and had the honor of sharing the stage with renowned vocalist Virginia Rodrigues at Johnny D’s. Moura is a regularly featured guest at the special performances held by New England’s various music schools and is invited to sing at virtually every single Brazilian cultural event held throughout the area. Depending upon your food mood, the Birch Street Bistro’s menu is designed to please a wide range of appetites. You can enjoy a lighter meal along the lines of burgers, pizza, or salad or opt for more extensive fare. Some interesting appetizers and entrees include Fresh Apple Salad (mixed greens, bacon, gorgonzola, candied walnuts, with an apple cider vinaigrette), Sausage (with parmesan risotto), Four Cheese Fondue (with grilled garlic pita bread), Grilled Fillet Mignon (with melting fig butter, sauteed spinach and roasted potatoes), and Braised Lamb (with a ricotta filled gnocchi). 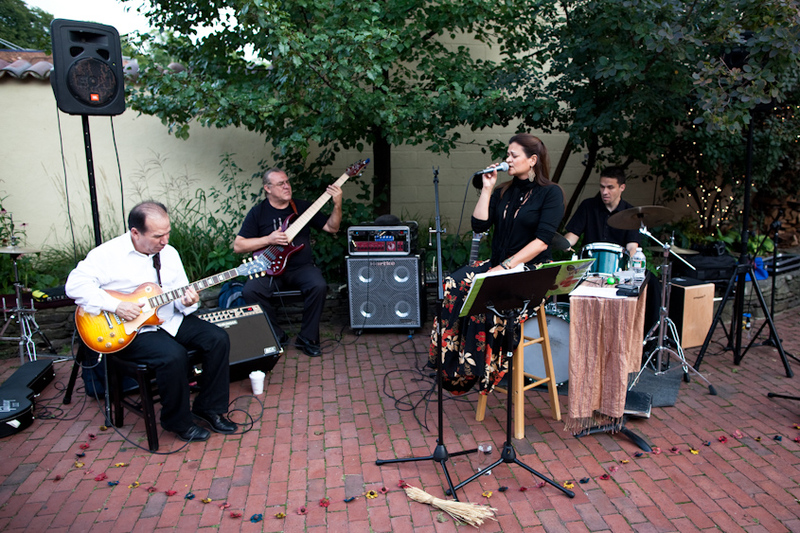 So, the next time that craving for a little Bossa Nova emerges, just head on over to the Birch Street Bistro on any given Sunday evening where Valdiza Moura and her band will satisfy that urge in no time! Ignite Your Senses with the Passion, Electricity, and Excitement that is the Bale Folclorico da Bahia: January 22nd, Saturday @ 8:00 p.m.
Watch the Bale Folclorico da Bahia. So here we are folks, locked into the cold, icy doldrums of mid-winter once again. However, fear not, the Bale Folclorico da Bahia (BFB) has come to the rescue with a show that is designed to heat up even the bleakest January night! 24 dancers, instrumentalists,and vocalists strong, this Brazilian dance troupe literally lights up the entire performance venue wherever they go, never-failing to bring the audience out of their seats, dancing to the highly energetic beats of Afro-Brazilian folk and popular music at its finest. 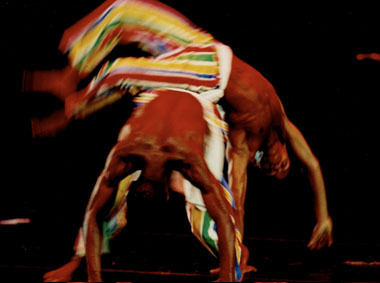 Founded in Salvador, Bahai in 1988 by Walson Botel and Ninho Reis, they are Brazil’s sole professional dance company and already in their very first year of performance were named “Best Performer of the Year” by the country’s Ministry of Culture. Since then they have been considered Brazil’s top dance troupe, becoming wildly popular not only in their homeland, but on a world-wide scale abroad, as well. Their performance repertoire consists of Afro-Brazilian folkloric dance scenarios based on traditional genres including slave dances, capoeira, samba, and those presented at the spectacularly colorful celebration of Brazilian Carnival. Artistic director Jose Carlos Arandiba, brings these traditional dance forms to life on stage with contemporary, innovative choreography designed to appeal to general audiences the world over. And who wouldn’t be absolutely dazzled by a spectacle of color, action-packed choreography accented with acrobatic and martial arts movements, intensely rhythmic music, and high drama. This show is non-stop high energy from beginning to end. 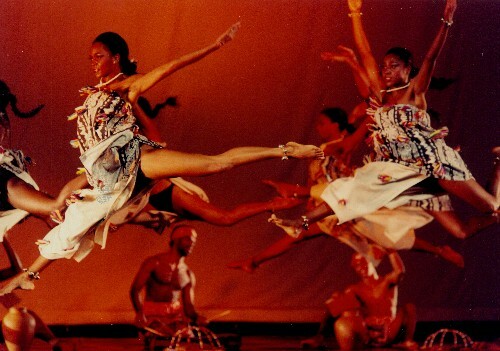 In 2008, Bale Folclorico da Bahia commemorated its 20th anniversary with a new show comprised of both old favorites and brand new dance numbers. Learn more about this highly successful dance company’s accomplishments by visiting their website history and award pages. And if you do have the good fortune of attending their upcoming Boston performance, be prepared to be razzled and dazzled, while experiencing a truly euphoric emotional high. When: January 22nd, Saturday @ 8:00 p.m. Whether you are an experienced Latin dancer or just a beginner, let the good folks at Moves & Vibes get you up and moving with ease on the dance floor this holiday season. This particular dance studio specializes in Brazilian dance genres, so you know you have come to the right place when it comes to learning forro (video), samba (video), zouk (video) , or axe (video). Depending on your individual taste, these styles each offer you, the student, a different type of dancing experience. You can choose from zouk (a slower more intimate style), the salsa-like forro (emphasizing a dancer’s musicality and degree of connection with their partner), Samba de Gafieira (an elegant style, displaying characteristics of both the tango and Brazilian samba), or axe (a high energy dance which can actually be done without a partner). Learn from the pros including Glenio Oliveira with 15 years of teaching experience and an accomplished professional dancer in his own right, his dance partner and former student Inna Podshivalova, originally from Moscow and an avid dancer from childhood, and Lize Tibirica, the ax specialist, who is not only an instructor but a choreographer as well. Moves & Vibes offers a full schedule of group classes, private lessons, and dance parties. If you’re in a crunch for time and can’t engage in a full series of lessons, then why not take advantage of their individual drop-in rates. Keep up with all that is happening at Moves & Vibes either by joining their mailing list or following them on Facebook. 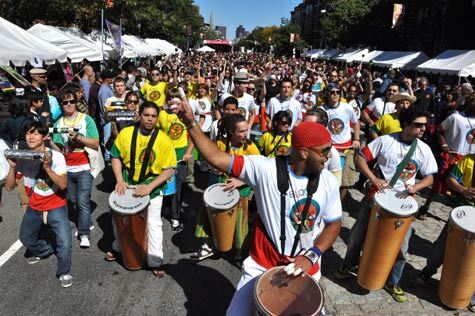 Get into the High Spirit of Brazilian Carnaval with Olodum: September 19th, Sunday @ 8:00 p.m.
Make sure you check out the full series of CrashArts concerts for the season which features many top world artists. 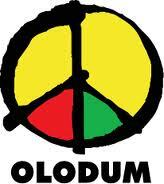 Named after the Yoruban deity Olodumare, Olodum hails from the heavily Afro-Brazilian city of Salvador, located in the Brazilian state of Bahai. It is an established fact that attending one of their performances is a lot like actually spending an evening at carnaval in Brazil! This highly accomplished, internationally renowned ensemble, who is known for the development of their very own widely popular style of Afro-Brazilian music, is celebrating their 3oth anniversary this year. The group’s sound is predominantly percussive, which explains their complex and heightened sense of rhythm. Add to this an emotionally charged vocal section, further accompanied by brass, keyboards and guitar, and you have the complete package that is Olodum. Oh yeah, lest I forget, there are dancers too! Back home, the band has been known to appear at carnaval with a full regimen of approximately 200 percussionists and singers accompanied by thousands more appearing in costume. Whoa!!! 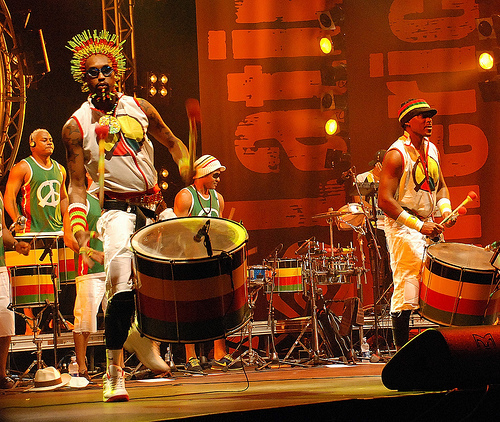 Olodum was founded in 1979 by the infamous Neguinho do Samba. It began as a typical “blocos afro”. 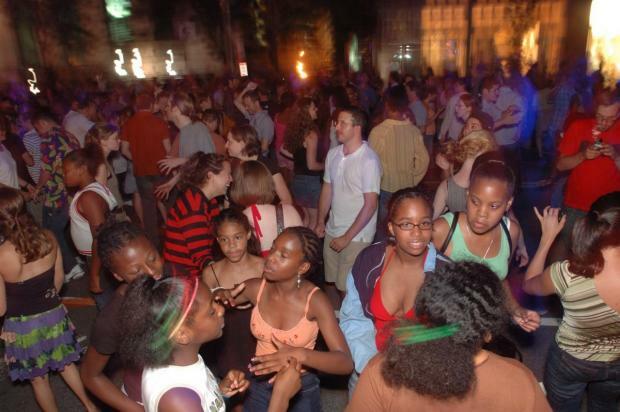 These groups are formed to give Afro-Brazilian youth the opportunity to indulge in their native culture, mostly with respect to music, with the hope that they will eventually take pride in their original heritage. On a broader scale, these cultural organizations also stand for racial equality and social justice. 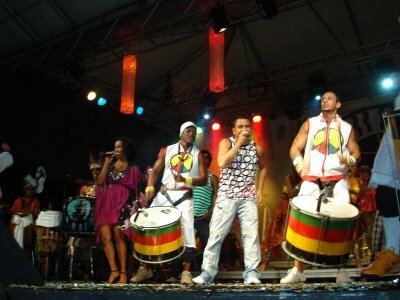 From its humble beginnings Neguinho, a virtuoso percussionist, took the group to extraordinary musical heights, eventually developing the genre of samba reggae which is today the predominant music style of Bahian carnaval. Samba reggae is a combination of traditional blocos afro music which is characteristically African in nature and merengue, salsa, and reggae. 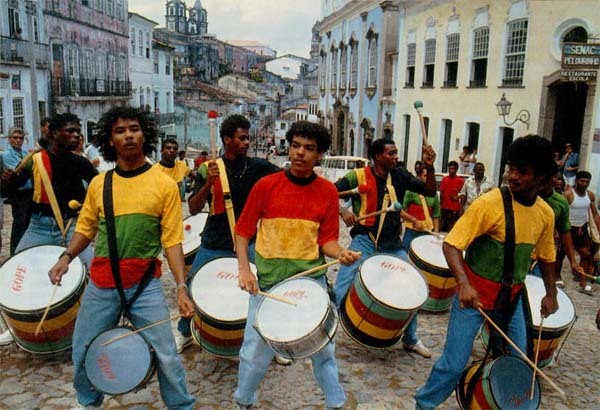 Olodum, despite their fame, has ever remained a regular participant in carnaval celebrations back home, always carrying a message of Afro-Brazilian oriented racial or social reform to their audiences with each performance. In fact, they take their role in this process so seriously, that they have sponsored many non-music events in order to further support this all important cause. Among the band’s many accomplishments, they have performed in 35 countries across the globe and recorded over 20 cds to date. They have also appeared with a lengthy roster of international stars including: Michael Jackson, Paul Simon, Simone, Daniela Mercury, Jimmy Cliff, Sadao Wantanabe, Spike Lee, Herbie Hancock, and Butabaruka. If you’re looking for a true taste of carnaval, the #1 celebration throughout Brazil, then I highly recommend that you spend and evening with Olodum and catch some samba fever! When: September 19th, Sunday @ 8:00 p.m. I don’t know about you … but to me, a tried and true summer girl, there is no better place to enjoy great world music than outdoors in the warm sunshine. So, as the season wears down, why not take advantage of one of your last opportunities to enjoy the fair outdoor weather. Come on out to the grand finale of the 15th annual Brazilian Independence Day Festival or as the native locals would call it “Veha Pintar o 7”. This Sunday event marks the end of a week-long series of celebrations. 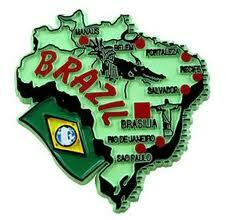 Most importantly it will be an afternoon chucked full of great opportunities to enjoy Brazilian music. The afternoon begins with a flag raising ceremony and the singing of the Brazilian national anthem by Ms. Daniela Speziale. Then march along with Marcus Santos and AfroBrazil during the festival parade. There’s plenty more music to be heard for the rest of the afternoon compliments of Afro Orpheu Musical, Forro band Cabras da Peste, and David Ramos e Samba no Pe. Included in the musical mix will be dance performances by the Moves & Vibes Co, and Capoeira with Mestre Chuvisco . Sounds like a pretty good line-up to me. 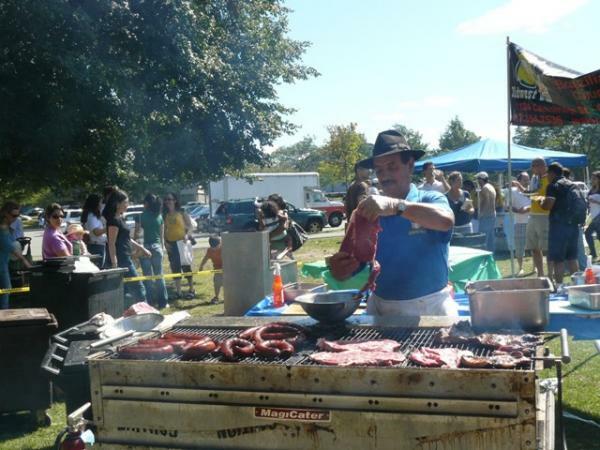 You can continue your exploration of Brazilian culture by sampling the ethnic fare at the food booths, visiting various informational exhibits, or checking out what’s for sale in the arts and crafts area. If you just happen to be a soccer fan, then you’ll want to meet local Brazilian star Roberto “Betu” Linck of the New England Revolution in person. Since this is an event for all ages, there will be plenty of activities to keep the kids happy, including special exhibits by the Museum of Science and the New England Aquarium. All in all this looks to be a great day to immerse yourself in a little Brazilian culture, to the tune of some great ethnic music. Don’t Miss One of NYC’s Hottest Dance Bands: Forro In The Dark Comes to the Museum of Fine Arts: July 14th, Wednesday @ 7:30 p.m. Sorry about the last minute notice!!! I know this concert is only two days away, but this band is “all the rage” in New York City and I wanted to give you an opportunity to hear them if your Wednesday night just so happens to still be open at this point. 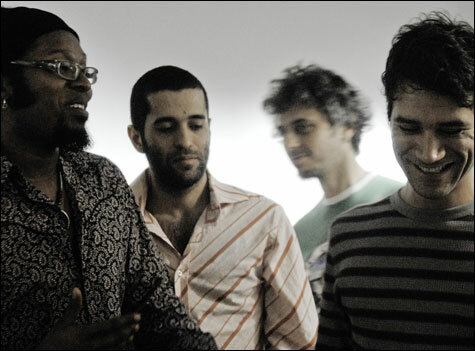 Forro In The Dark is currently considered one of the very best dance bands in all of the Big Apple, consistently drawing in huge crowds every week at their regular gig at Nublu in Greenwich Village. This wildly popular party band is sporting their very own contemporary version of a well established rural northeastern Brazilian genre called forro, which actually refers to a social gathering designed to encourage lots of dancing among its attendees. What helps to make Forro In The Dark’s sound so unique and intriguing is its multi-faceted character. Combine funk, dub, indie, rock, jazz, country Western and swing with Afro-Caribbean rhythms and you have very energetic, highly danceable music guaranteed to keep the crowd on its feet. So come join Brazilian-Americans Mauro Refosco on zabuma drum and vocals, Davi Vieira on percussion and vocals, Guilherme Monteiro on guitar and vocals, and Jorge Continentino on pifano, flute, sax, and vocals and see if you can sit still- I bet not! Also appearing at the museum on Wednesday evenings this summer will be Chiwonisa (7/21) and Frank London’s Klezmer Brass All-Stars (8/4). Visit their web page for more specific concert info. For complete information as to how to make purchases online, in person, by phone, or on the special concert dining package as well as other concert series details check out their website. Listen to Receita de Samba. West End Johnnie’s in downtown Boston is hosting Samba Night, featuring the innovative Brazilian sounds of Receita de Samba. Start your evening off on “the right foot” with an hour-long samba lesson, free of charge with general admission, and then hit the dance floor to try out all of your new moves. 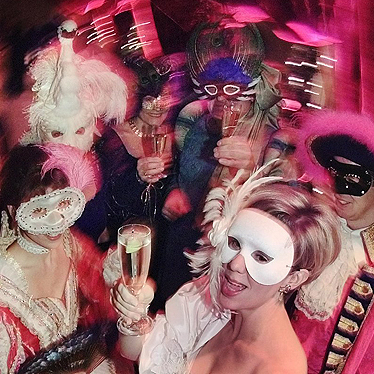 No matter what your level of dance expertise might be, it sounds like a fun night for all. By the way, they do serve dinner here, just in case you come hungary. 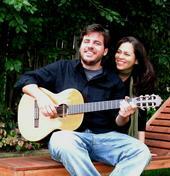 You’ll be accompanied by one of Boston’s most seasoned Brazilian ensembles. Receita de Samba is a five-piece band consisting of vocals, guitar, bass, drums, and piano, with a little added flute and extra percussion mixed in here and there for good measure. With a style that is described as a mixture of Bossa Nova and samba, they have built quite the reputation as a Latin dance party band. So what are you waiting for, I ask? Head on out to West End Johnnie’s for some samba fun!